Regular readers know that we’ve often covered the limits of decision models, the importance of chemistry, and what makes a team work well together. And that we’re baseball fans (especially of our Rays). 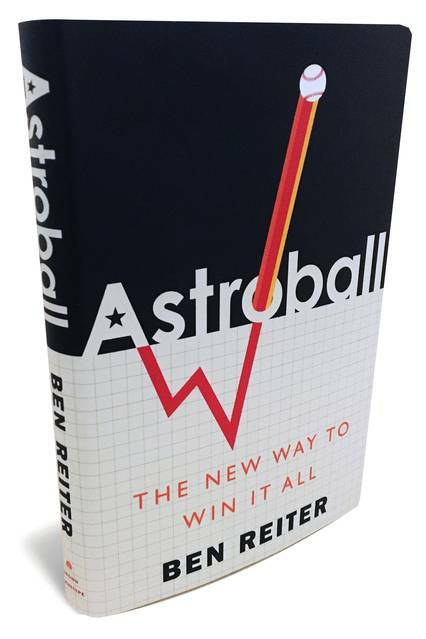 A recent review of “Astroball” in The Wall Street Journal. 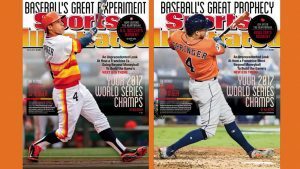 covers that same ground with the terrific story of the 2017 World Series champs. Astros GM Jeff Luhnow figured out how to get scouting and analytics to work together and combine that with team building to go from last place to World Series champs in 3 short years. This roster-creation, all by itself, did not bring home the championship. Building an exceptional team is one thing, but making it work as a team is another. 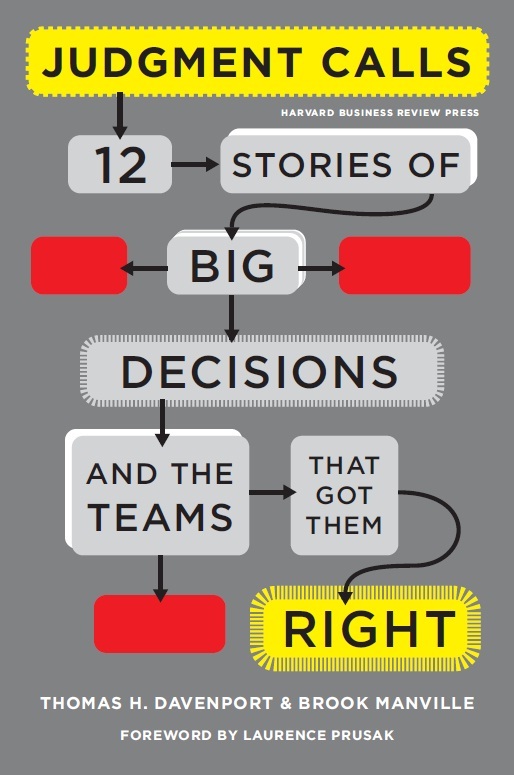 “Fault lines” exist in all complex organizations—including baseball teams. If these lines can be bridged or eradicated, a team is likely to win more ball games. 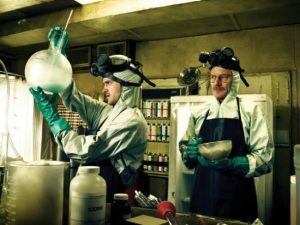 To use another bit of old-fashioned terminology, a team needs chemistry. Carlos Beltrán, the veteran outfielder signed by the Astros after the 2016 season, immediately took on the role of chief chemist. Among other things, he created a postgame ceremony that awarded prizes for excellence in the field and instituted a postgame “court” for those who failed to attend: The fine was $500. Mr. Beltrán also had a singular ability to study opposing pitchers and determine their “tells”—gestures and small changes in behavior that signaled whether or not the next pitch would be, for example, a breaking ball or a fast ball. Finally, Mr. Beltrán had a strong desire to close the gap between the English and Spanish speakers. 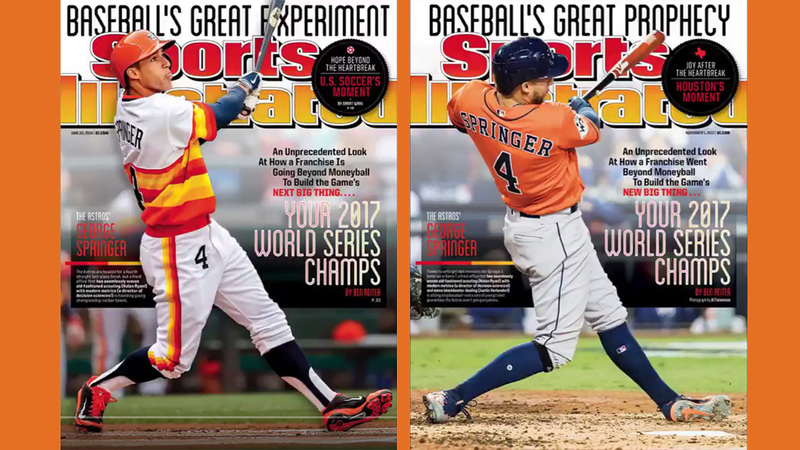 Add to all this the signing of pitcher Justin Verlander, acquired during the 2017 season, and a dash of good luck, and there’s no reason why any of us should have been surprised that the Astros won their World Series right on schedule. 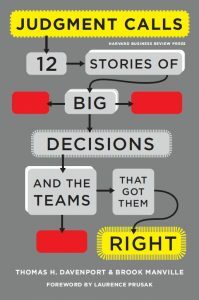 Mr. Reiter’s superb narrative of how the team got there provides powerful insights into how organizations—not just baseball clubs—work best. We have previously suggested that in baseball there’s just a slight correlation between more analytics and more success. 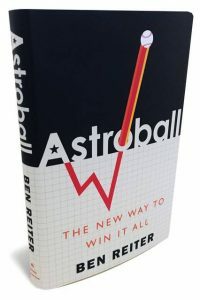 It remains tough to eliminate the usefulness of having more money than other clubs, and with technology and best practices so widely disseminated and articulated (in baseball, at least) the early Moneyball advantages may have been arbitraged away. So excellent teamwork or a hot stretch of cluster luck can make the difference. The fan inside us is fascinated by new thinking on the topic, and the prospect of advantages to be gained in the short term, but over the long term our conclusion remains the same: big data may help make accurate predictions or guide knotty optimization choices or help avoid common biases, but it doesn’t control events. Models are useful in predicting things we cannot control, but for those in the midst of the game – players or entrepreneurs – the results have to be achieved, not just predicted. A recent article in Forbes offers excellent advice for recruiting a board of directors – in the form of the Top 10 Questions High Performance Directors Ask Before Joining a Board. While the “owners” of public companies often get to pick their board members more in theory than in practice, owners of private companies get to pick both their investors and their board members. Choosing partners who best fit over the long term requires as much rigor and thoughtfulness as any decision an entrepreneur makes. Many small private companies have no or underdeveloped boards. We encourage all our portfolio companies to build great boards and then use them constantly. Entrepreneurs are almost always surprised how much value a good board can bring to their companies, and the best boards are a function of both the quality of the people involved and, just as importantly, how they operate. We encourage you to read the entire Forbes piece, but for our purposes we chose 2 of the 10 and offer a handful of supporting links to related posts here at NVSE. 2. Will your management team be open to listening to board level input? Is resistance futile? Is dissent embraced in discussion? 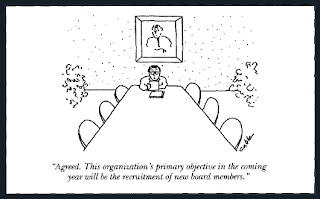 Recruiting strong board members gives an entrepreneur the opportunity to create an environment of mutual accountability in which team members trust and challenge each other and compensate for the all-too-human tendency to learn only after it’s too late. 7. Does your company have institutional or professional systems and processes in place? Does the machine run smoothly, or is it held together with chewing gum? While professional systems and processes are (of course) required to grow a high-growth company out of the garage, it’s also important for leadership to remember to also build the ‘robust social systems’ in which board members’ informal modus operandi ensure that all those well-designed systems function properly. 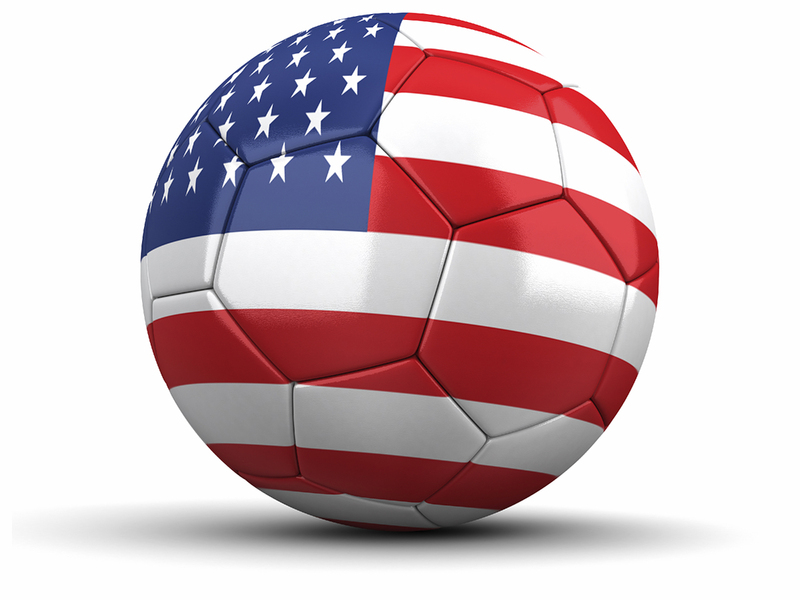 In the wake of the most recent scandal news affecting international soccer, Richard Epstein of the Hoover Institution writes that FIFA could address its problems by making soccer more American. (T)he list of particular derelictions, however long it may be, takes the worm’s eye view of the subject. This cascade of errors does not happen by accident. It takes place in large measure because of the faulty governance structure inside of FIFA. … It would be wrong, however, to assume that the difficulties with FIFA stop at the institutional level. In the United States, the basketball and hockey playoffs have taken center stage. Anyone who watches all three sports will quickly realize that the defects in FIFA’s governance structure are not only felt in the boardroom, but also on the playing fields. As a game, I leave it to others to decide which sport they prefer. But as a set of game rules, as I have long argued, soccer is so sadly deficient that much has to be done to fix the sport. While it makes good sense to us that FIFA’s governance structure could be improved, we’re not so sure that would be enough. “Good governance” reforms, implemented in the wake of a crisis or scandal, inevitably fail to prevent the next crisis or scandal because even the best procedures won’t stop a determined bad actor. This is especially true when the institution’s culture is complacent and/or complicit – as is the case with FIFA. 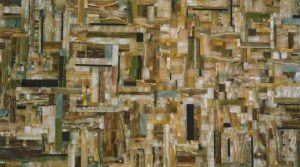 As we’ve written elsewhere, in the context of a start-up company’s board, what makes great boards great are the ‘robust social systems’ in which board members’ informal modus operandi animate the formal procedures. Transparency and a virtuous combination of tension and mutual esteem will facilitate healthy and constructive debate and improve decision making. Epstein goes on to address what he calls soccer’s “atrocious penalty structure” with penalties “either too severe or too lax.” He compares the situation unfavorably to hockey, in which each infraction is treated as a discrete event and the structure of the penalties create “strategic possibilities” more in proportion to the eventual outcome of the match. Not having penalties proportionate to the offense creates perverse incentive effects on players and officials alike. The definitions of all infractions, especially those that turn on intent, are often subject to disputation. Players will try to inch closer to the line, daring the referee to respond with the nuclear option. Lower the stakes, and referees will be less reluctant to impose a penalty that now fits the offense. Players will respond by avoiding silly plays that can subject them to penalties. This too parallels something else we’ve written, on the subject of complex financial regulations: if regulators create the incentive to just “manage to the rules,” even a good actor may tiptoe right up to the hot red line where a crisis can be triggered by a little bad luck. Regardless of the activity, the rules, or who’s officiating, there is always a need for good judgment. When a hurricane sank the SS Central America in 1857, over 400 lives and at least 3 tons of California Gold Rush fortune were lost. “At least” because the steamer was also rumored to carry in its hull an additional secret 15 tons of gold headed for NY banks. The loss contributed to The Panic of 1857, as the public came to doubt the government’s ability to back its paper currency with specie. 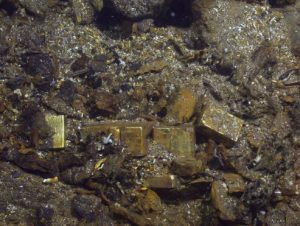 131 years after the ship was lost, oceanic engineer Tommy Thompson and a team of “data nerds” used Bayesian modeling to find the ship and new deep-water robot technologies to recover items from the ocean floor. We caught the 30-for-30 movie this week and it captivated us on several levels: (a) it’s the greatest lost treasure in American history, (b) it includes important lessons about corporate governance, (c) it demonstrates the importance of intuition, and (d) the tale ends with a local twist – fugitive entrepreneur/treasure hunter Thompson was just recently captured in our backyard (Boca Raton). The story has parallels to another favorite of ours – The Greatest Comeback Ever and the Limits of Decision Models – in which intuition augmented or even trumped the computer model. Following a hunch they discovered her on “the edge of the probability map,” ending one mystery but starting another. Thompson – “a combination of Indiana Jones and Tesla” – used lack of transparency and poor corporate governance to keep his investors at bay for 16 (!) years. The first seven years were consumed by a flurry of lawsuits from 19th century insurers and not directly his fault; his backers then patiently waited for the next nine years as Thompson told them the gold had to be marketed just so. He sold 532 gold bars and thousands of coins for $48 million in 2000, purportedly to pay loans and legal bills. In 2005 two investors sued, in 2006 some crew members sued, and Thompson became a recluse in a rented Vero Beach mansion which he paid for with “moldy smelling” $100 bills (they’d been buried underground). He missed a 2012 court appearance and was officially on the lam up until being caught earlier this year in Boca Raton, FL. A new company (Tampa-based Odyssey Marine Exploration) re-started salvage efforts in April 2014 – only 5% of the wreck was excavated by 1991, and it’s been left un-touched since then. Recovery efforts will continue indefinitely (is it 3 or 18 tons of gold?) and be used in part to reimburse the original investors. 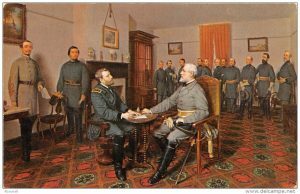 Four years ago, on the sesquicentennial of the first shots fired in the Civil War, we cited a piece from The Wall Street Journal that described how the dynamics of General Lee’s staff undermined the accomplished leader, who, at Gettysburg, failed to sense his team’s growing doubts. The lesson remains relevant for entrepreneurs so we revisit it this week – the sesquicentennial of Lee’s surrender at Appomattox Courthouse. 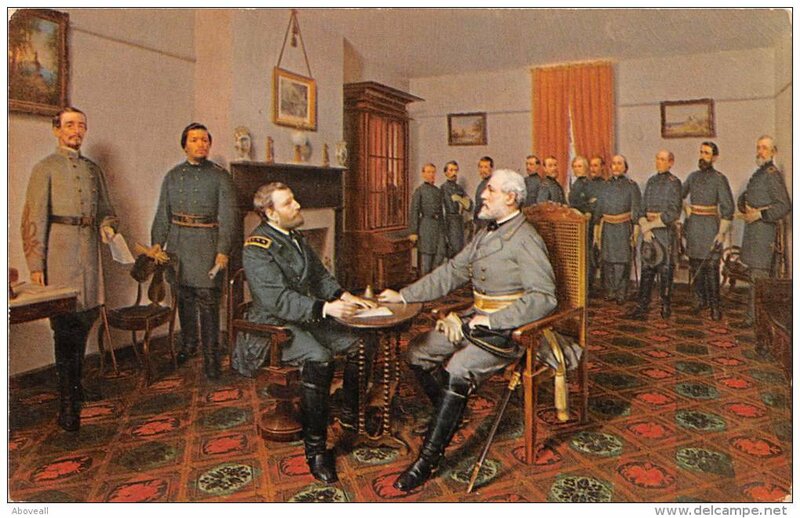 Lee’s generals knew that modern weapons and a determined enemy would turn the charge into a disaster. But who among them would step forward to question the supremely confident general known as the “marble man”? Lee would have been surprised to discover that his generals had doubts, because he considered himself open to their opinions. But his own stature and idea of himself created a barrier that only the trauma of failure could overcome. It’s easy to imagine (Lee’s) staff struggling to effectively press their contrarian advice. Any number of factors could cause one not to risk a career “Pickett’s Charge”: the leader’s force of personality, the high stakes involved, the constrictions of time, the subtle team dynamics of consensus building, or even an over-reliance on formal procedures. And what’s true for a strong general is true elsewhere – including CEOs and their boards of directors. Owners of private companies get to pick both their investors and their board members, and therefore have an opportunity to create an environment of mutual accountability in which team members trust and challenge each other. Entrepreneurs are almost always surprised how much value a good board can bring to their companies. In our experience, boards work best when members’ informal modus operandi animate the formal framework of decision-making and the relationships strong enough to foster open dissent and compensate for the all-too-human tendency to learn only after it’s too late. Why do regulatory measures implemented in the wake of one crisis inevitably fail to prevent the next one? Rather than admit that regulation is having unintended effects, Professor Taub retreats into moralizing, denouncing the banks’ behavior as “accounting tricks” and “gaming the system.” But these are not tricks or loopholes or games — they are the laws of the land and the products of regulators. If we could for a moment set aside the cheap homiletics, we could meditate on the fact that our current regulations are having certain effects, some of which are other than what was intended, and that other regulatory innovations also will have effects other than those intended, and that our power to regulate is limited by our inability to predict or account for how markets and institutions will react to that regulation. The answer, as in many other areas of complex decision-making, is simple. Or rather, it is to keep it simple. For studies have shown that the Frisbee-catching dog follows the simplest of rules of thumb: run at a speed so that the angle of gaze to the Frisbee remains roughly constant. Humans follow an identical rule of thumb. Catching a crisis, like catching a Frisbee, is difficult. Doing so requires the regulator to weigh a complex array of financial and psychological factors, among them innovation and risk appetite. Were an economist to write down crisis-catching as an optimal control problem, they would probably have to ask a physicist for help. Yet despite this complexity, efforts to catch the crisis Frisbee have continued to escalate. Casual empiricism reveals an ever-growing number of regulators, some with a Doctorate in physics. Ever-larger litters have not, however, obviously improved watchdogs’ Frisbee-catching abilities. No regulator had the foresight to predict the financial crisis, although some have since exhibited supernatural powers of hindsight. So what is the secret of the watchdogs’ failure? The answer is simple. Or rather, it is complexity. For what this paper explores is why the type of complex regulation developed over recent decades might not just be costly and cumbersome but sub-optimal for crisis control. In financial regulation, less may be more. Haldane warned that “fundamental limitations of the human mind” thwart increasingly complex (and sometimes frivolous) attempts at regulation. The end of every boom-bust cycle during my lifetime has included a fin de siècle scandal: insider trading punctuated the ’87 crash, accounting irregularities (think Enron and Worldcom) helped pop the tech bubble of the ’90s, and our most recent bust was characterized by lax governance at Fannie & Freddie and more than a few banks. We all understand the business cycle, and we all understand human nature… but what about all those good governance measures that get implemented in the wake of each meltdown? Why do they inevitably fail to prevent the *next* crisis? It’s conceivable that a board member here or there could be corrupt or asleep – but entire boards? Across multiple companies and regulatory agencies? Unlikely. It’s more likely that they were following the current and best practices for strong and effective board oversight. There is more to strong board performance than best practices. The critical factor is a ‘robust social system’ in which members’ informal modi operandi ensure that all the well-designed board processes function properly. Good boards combine tension and mutual esteem. This is especially true when dealing with complex and detailed regulations, which increase the likelihood a board will mistake process for purpose and inadvertently tiptoe close to where a crisis can be triggered. 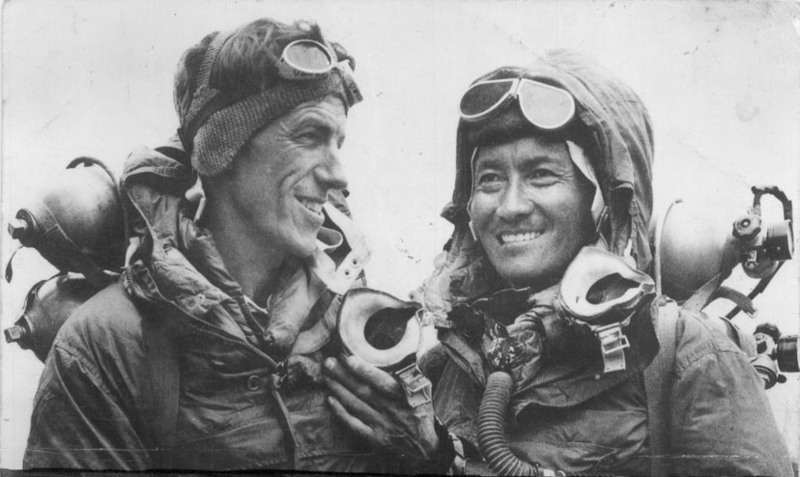 61 years ago, on May 29, 1953, New Zealander Edmund Hillary and Nepalese sherpa Tenzing Norgay became the first to reach the summit of Mount Everest, arriving just before noon after spending the night high on the mountain. In the author’s retelling, a series of events led to several climbers inexplicably ignoring the “Two O’Clock Rule,” which says: if not at the summit by 2:00, turn back because “darkness is not your friend.” Their descent occurred at night, in a blizzard, as they ran out of supplemental oxygen. 5 people died and others barely escaped with their lives after many hours wandering in the dark while braving subzero temperatures. That series of events was analyzed by Professor Michael Roberto in a 2002 paper entitled “Lessons from Everest.” It had struck Professor Roberto that “the disastrous consequences had more to do with individual cognition and group dynamics than with the tactics of mountain climbing.” He found several factors that caused experienced people to violate their better judgment. 3. Recency Effect: Paying too much attention to recent events. Climbers had encountered good weather on the mountain in recent years so many of the climbers thought the storm was surprising but in fact it was rather typical. The team lacked the ‘robust social systems’ in which members’ informal modus operandi ensure that the decision-making process functions properly. 1. Climbers were almost strangers and had not had time to develop trusting relationships. 3. There was an absence of candid discussion due to (a) the deference in the “guide-client protocol” and (b) a pecking order amongst the guides that led “lesser” ones to keep their concerns to themselves. Very briefly, “the team fell behind schedule and encountered the dangerous storm because of a complex set of interactions among a customs problem in Russia, Scott Fischer’s acclimatization routine in Nepal, a Montenegrin expedition’s use of rope, a failed negotiation with Outside magazine, and so on.” There was also no slack in the system, so when there was a problem in one area it triggered failure in another. The bottom line may be that they violated a sacrosanct rule, but the more interesting question is why? The unwillingness to question team procedures and exchange ideas openly prevented the group from revising and improving their plans as conditions changed. Though the stakes are (much) smaller in a high-growth company, an entrepreneur faces similar challenges: he has a team and a plan, faces a fast-changing environment, and the odds might be long. Success hinges on creating an environment of mutual accountability in which team members trust and challenge each other. Inc.com has advice for early-stage companies: the partners with whom you choose to work are more important than the need for control. By now everybody has a big stake in your success and would like to feel consulted on the major decisions you’re making with their money. It surprises me that this is even controversial but in this day-and-age it sometimes is. I know there are bad investors who do bad things. There are just as many bad entrepreneurs who do bad things. As with most of life, it’s more about whom you choose to work with, what their reputation is from others and how well you’ve vetted them more than an absolute need for control. Or as we once put it: the fate of control is that always seems too little or too much. Once the honeymoon is over, will you collectively put forth the constant effort required to sustain the relationship? How will you resolve conflict? Are communications open and largely free of clashing egos? Does the quality of the arguments make the outcomes better? U2 credits their longevity to a “group ego” that trumps everything else. Can you develop what Fred Wilson of Union Square Ventures calls “shtick tolerance?” You don’t have to accept everything about your partner – outside of integrity/honesty – but you must be able to more or less tune some things out over the long haul. You’re patient with their shtick because they’re patient with yours. It’s hard work. The chemistry between entrepreneur and venture partner in private companies is more cooperative, longer-term, and (mercifully) not subject to the quarterly reporting pressures of public companies. Both will have real “skin in the game” and the same incentive to understand the nuances of the business and focus on long term value creation. Via Scale Finance, Nick Hammerschlag of Open View Venture Partners writes about the different expectations a VC and an entrepreneur bring to the due diligence process after the term sheet is signed. It’s well done and written from the perspective of helping the entrepreneur understand the “timeline and scope” of the typical requests a venture capital firm will make. Entrepreneurs who are raising growth capital (i.e. bringing on a long term partner) as opposed to selling their businesses (i.e. get the best valuation) should invest a lot of time conducting due diligence on their prospective financial partner. A credible partner will let you (indeed, encourage you) to talk to as many of their previous entrepreneur partners as you want to get a feel for what they are like to work with. Establish a solid foundation for the relationship early: Will you share the same vision? Agree on ground rules? Fred Wilson of Union Square Ventures, in an outstanding post at his blog, describes one key to successful long term relationships: “shtick tolerance“. You don’t have to accept everything about your partner – outside of integrity/honesty – but you must be able to more or less tune some things out over the long haul. You’re patient with their shtick because they’re patient with yours. It’s hard work. This book landed on our desks recently and looks promising. In Judgment Calls, Thomas H. Davenport and Brook Manville share the tales of several organizations that made successful choices through collective judgment. We’ll consider adding it to our collection in The Library in St.Pete, and based on the reviews and excerpts it sounds similar to another book already found our shelves: Why Great Leaders Don’t Take Yes for and Answer by Michael Roberto. Professor Roberto writes that the key to making successful strategic business decisions lies in how you design the decision-making process itself, and how leaders address the inherent biases of that process. By his own words, LaMagna was “a risk addict and … a compulsive capitalist,” and deep down knew that he wanted to take his company to this next, bigger level. But he also wanted to avoid turning Tweezerman into one more failure in what had been a previous career of multiple entrepreneurial misfires. What if this last and greatest airplane, which had finally begun to fly—and fly high—now crashed and burned like so many other LaMagna ventures before? …For many of his earlier ventures, he had de facto operated as a solo entrepreneur, so any kind of collaborative decision making was not even an option. In the early days of Tweezerman, things started out the same. But with the evolving success of the company, and the growth that followed, he began to see things differently. Over time, he had established a group of trusted executives around him, which formed a “steering committee.” And they all had their own points of view, which they regularly voiced. The tension of the big-growth decision was always before them. “For years, I was a like a horse champing at the bit to do this, and the steering committee held me in the corral so we could really think it through,” recalled LaMagna with a smile. “I know how reckless and impatient I can be, and these people kept me in check.” In the end, the CEO and the leadership team made the final decision together—in fact, a series of interrelated and difficult decisions leading to the all-important outcome. What follows is the story of how the collective judgment they called upon was built and embedded in the entrepreneurial soul of this company, enabling what ultimately became a multimillion-dollar enterprise—and wealth for all of them beyond their wildest dreams. Of particular note is the context for better judgment that LaMagna built around him: the cultural values and sense of mutual accountability within this company that he, as founder, encouraged and reinforced steadily. …Like so many entrepreneurs, Dal LaMagna pursued his new idea with a vengeance, but insisted on doing it all himself. … As he recalls, looking back, “I sort of had this epiphany. I suddenly realized what my own time was worth, and I wasn’t taking advantage of what I could do when I had to do everything alone. All along I had really just been sort of a promoter, selling this or that crazy idea. And it hit me then. I had to build a company. I needed to… get good at picking people I could trust and who could do the job. A frequent theme of our writing here, and our conversations with our entrepreneur partners, is board performance: there is more to strong board performance than best practices. The critical factor is a ‘robust social system’ in which members’ informal modi operandi ensure that all the well-designed board processes function properly…. [B]oards that operate to their potential are characterized by constant tensions, coupled with mutual esteem between management and outside directors. Rather than leading to endless bickering, this virtuous combination helps to facilitate healthy and constructive debate and improves decision making. Directors with an ownership mind-set—whether from the family or outside—have passion for the company, look long term, and take personal (as distinguished from legal) responsibility for the firm. They will spend time to understand things they don’t know and not pass the buck to others. They will stand their ground when it is called for. Ultimately, the success of the company over the long term matters to them at a deep, personal level. In the venture world our long term reward depends heavily on whether or not the value of our portfolio company appreciates. Furthermore, there are far fewer investors (than in a publicly traded company) so owners are more “meaningfully engaged.” Owners of private companies get to pick both their investors and their board members. If entrepreneurs pick great partners (broadly defined) to fund their business and make sure both financial incentives and long term goals are aligned, they will have achieved “high performance” corporate governance that will contribute substantially to their eventual success.